Despite the data from Apple indicating solid iPhone sales, but a plateaued market share, arguably lackluster iPad sales compared to previous quarters’ activity, and the prospect of something wearable in the works from Cupertino, it is the iPhone we need to keep watching. Some analysts have low expectations about how the iPhone 6 (or whatever it ends up being called) will sell following its anticipated announcement later this year. 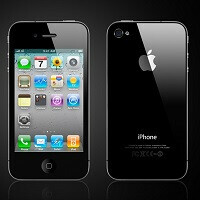 However, there is another metric we should consider, the iPhone 4 and iPhone 4S.